An admission to you all – I’ve used Pirate Bay to download stuff for free. A statement of facts – I also believe in protecting the rights of content creators. How do I reconcile my piracy usage of great content with my belief in copyright? The jury is still out on that one, but with the Pirate Bay being forced into a subscription model, the decision to go straight is made slightly easier for me. It’s an ‘Attribution-Non-Commercial-Share Alike’ license, issued to me by the Creative Commons for the content here on this site. Share Alike. 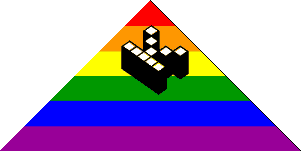 If you alter, transform, or build upon this work, you may distribute the resulting work only under a licence identical to this one. All of which sounds really boring, I’m sure. But Creative Commons licencing is on the up, because more of us are turning to our keyboards and becoming content creators. The CC give out little blog badges and buttons for your site, the iconography of which we are now beginning to accustom to. 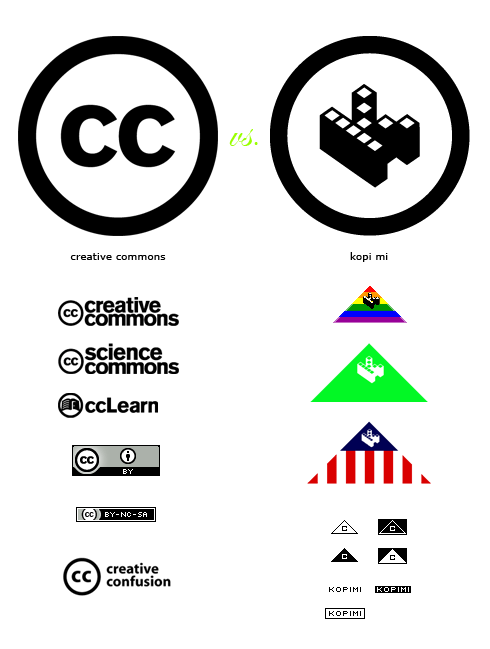 The CC logo is most prevalent on Flickr, where choosing a license type is part of the sign-up process. For those more liberal in their stance on free content sharing, there is one license I’d like to tell you about. It’s called Kopimi, and it is the exact opposite of copyright. Using a Kopimi badge on your site means you specifically request that people copy and use your work for any purpose, commercial or non-commercial, with or without attribution, to be hacked to pieces and repackaged however they damn-well please. It was created by Piratbyrån, the team behind Pirate Bay as a way to challenge attitudes to intellectual property rights, whilst in the face of all those hundreds of class-action lawsuits that ended up forcing them into submission. A side-by-side comparison. Which do you prefer? I hope that once Pirate Bay is all over with, Kopimi manages to live on. I identify with the general concept of free (or cheap!) content for all, but without a licensing approach that allows for the free distribution of content, piracy will remain an issue, and copyright will be broken time and time again. Thank god for Spotify is all I can say.